The digital composition below is based on my article in the Fall 2013 issue of Reflections: a Journal of Public Rhetorics, Civic Writing and Service Learning, a special issue on Latin@s edited by Cristina Kirklighter and Isabel Baca. The article is called "Nuestros Refranes: Culturally Relevant Writing in Tucson High Schools" and examines the rhetorical strategies demonstrated in the writing of a culturally relevant student publication in Tucson, AZ by the name of Nuestros Refranes (2010), during the passing of the anti-Ethnic Studies bill HB 2281 in Arizona. The production of this video came about from an assignment given in the second semester of a first-year writing class at Santa Clara University, in which students were to create short documentaries using iMovie on the iPad, as a part of the LEAD Scholars program. This digital writing artifact is a result of participatory pedagogy, where the instructor composed along side students, and with the help of students. I'm hoping to have student samples coming as well. 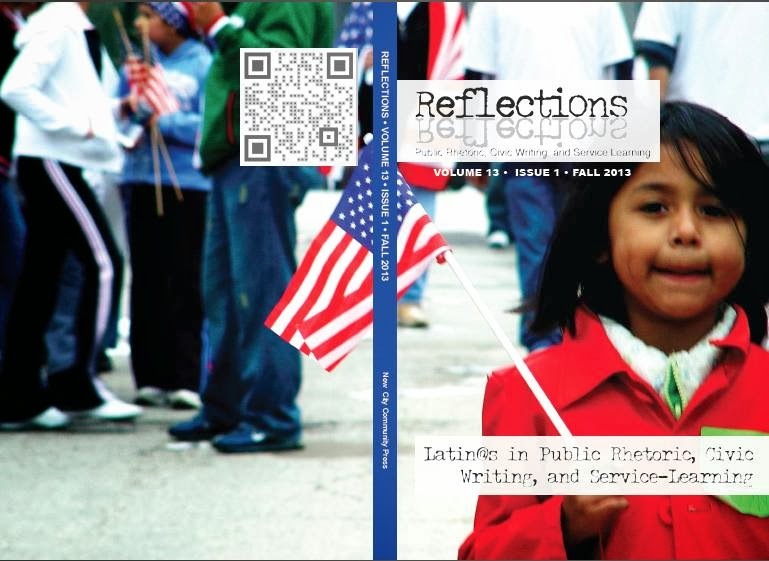 Thank you,Cruz,for creating this video to enhance your article in Reflections. What an empowering video for students! mas firme ke wow !